Tickets include coffee, dessert, and a 90-minute performance by renowned comedian & entertainer, Bob Stromberg. All tickets are “general admission” with open seating on a first come, first-served basis. Lobby opens at 6:45pm, with auditorium doors opening at 7:00pm. Seating is limited, so please purchase tickets online in advance. 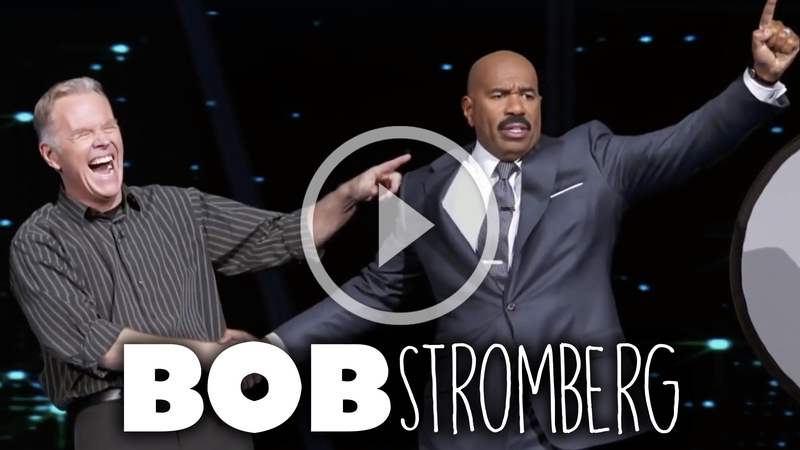 For decades, Bob Stromberg has been delighting audiences with his perfect blend of standup, story, and shtick--making for wholesome fun for the entire family or the perfect date night! Perhaps most notably, he co-authored and starred in the megahit theatrical production Triple Espresso (A Highly Caffeinated Comedy). Triple Espresso, described by the Los Angeles Times as “…a triple jolt of inspired craziness” has grown to ten casts and has been seen by over two million people in sixty cities from Seattle to The West End of London. It holds the record for longest running stage production in the history of San Diego, Minneapolis, and the entire state of Iowa. Bring a printed ticket or show your ticket on your mobile device. Children ages 5 and up may attend under the supervision of their parents. A ticket must be purchased for each attendee regardless of age. Contact Justin at info@faithcommunity.ws or 760-930-0400.